Forgive me, well-intended and passionate presenter, but in my experience, in class peer to peer writing conferences do not work. There, I admit it. Success in implementing face to face, peer to peer writing conferences, real critical encounters, has eluded me. I have 20 plus years in the English classroom, grades 6-12, and I have always come away from peer to peer writing conference sessions with the uncomfortable opinion that I have been wasting class time. This summer, I am participating in the Connecticut Writing Project, and I have to write on demand, and then I must share that work. This is a horrible experience for me. I pass my paper wondering, “What will this person think of me?” and “What if there is a grammar error? I’m an English teacher! !” I have to provide feedback on a fellow teacher’s work, and I see the same kind of panic in her eyes. I quickly reflect. How does my adolescent, pimply, over-stimulated teen-age boy feel as he hands in his rough draft for a critique by the fair skinned, sweet smelling young girl who sits behind him? How does that painfully shy artist who doodles his responses but has yet to complete a paragraph in writing feel about sharing his work with the amazingly popular class jock (boy or girl)? I mention this to the presenter who says, “Yes, sometimes, there are student combinations that do not work.” That confirms my problem. Problem #1: My struggle with peer to peer conferencing begins with setting up partnerships. Do I put the uneven writer with the good writer? Does the good writer need another good writer for good editing? Do I put two poor writers together and expect a miracle? Do I let the students choose their partners? How effective is the conference if friendship is in play? Problem #2: The research shows that students should learn how to peer conference in the elementary and middle school grades to carry that behavior into the high school grades.However, I have found that training in writing conferences in the elementary and middle school grades is erased in the high school environment. Many high school students claim to hate sharing their work with other members of the class; participation is mixed. Problem #3: I teach in a regional school where one third of our freshman class comes from out of district schools. Several of these students have not had any training in peer conferencing. The number of incoming students who are already uncomfortable in moving to a new regional school requires that I need to start at square one and train everyone how to conference effectively. Ultimately, I do not want to give up on students providing critical feedback to other student; I just want to take away the awkward immediacy of that face to face encounter. Since I teach in a 1:1 school district with digital literacy embedded in my curriculum, I will continue to use the solutions that have worked in place of those face to face, peer to peer writing conferences. I use digital conferencing. Solution #1: I use blogs. Each blog is organized for a small group (8-10 students) to use as a team. Only members of their team see their posts and comments over a period of time, say a semester or a school year. Students post book reviews, and other students comment on that post by asking questions about the book, or by making recommendations to improve the original book review post. Each student must respond to the posted book reviews. Writing on the blogs allow students the physical distance they need to comfortably respond to each other. Written comments take time to construct, and students are more thoughtful if they know what they write will have a larger audience. Blogs let me monitor the comments as well and determine which students are the most effective in providing good critical feedback to a student and which students are simply putting down, “great job!” or “I like what you wrote!” I might not have this information if the students were having face to face conferences. During my writing conferences with students I can follow up with the comment stream and target what is necessary to improve a critical response. Solution #2: I use wikis. Students upload a report or story to a wiki page, and their peers can respond with questions and provide feedback in the comment section at the bottom of the digital page. Here too, the wiki page and the comment section will be seen by a larger audience and students are more thoughtful if they know their work will be read by an entire class. Responses in the comment section of the wiki also allows me to monitor who has provided good critical feedback to the writer. Solution #3: I use Google docs. 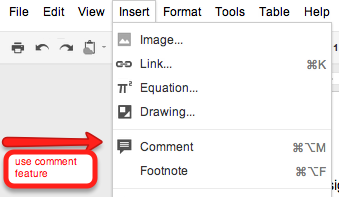 Students can upload their work to a Google doc and share that link with one or more students. 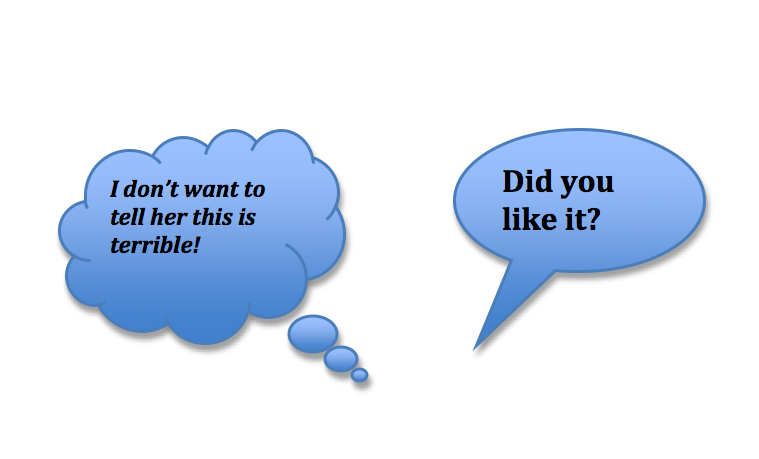 Each peer reviewer can use the comment feature to provide feedback. This feature also identifies the peer conference partner on each comment he or she makes. All comments by the peer reviewer are recorded on the document’s margin. An student author can even post questions about his or her writing in a comment box. The document can be also shared with multiple students who could work on the same document at the same time if necessary. All comments are part of the document’s history, and I can monitor changes made by the student writer before and after a peer review. This method is particularly helpful if I have specific students who are hesitant about facing another student in a peer review. Of course, all this digital peer to peer conferencing is improved if I provide students with guiding questions (“Did the opening engage you as a reader?”) they would use in written conferences or if they prepare specific questions for the peer reviewer. Digital platforms: wikis, blogs, and Google docs, allow me the means to provide peer to peer writing conferences by removing those awkward face to face conferences that I have found so unproductive in my high school classrooms. These digital platforms also let me organize students across class periods, and if I found a teacher in a cooperating school who wanted to peer conference, the digital platforms would allow my students to conference outside the classroom. Students still have plenty of opportunities for face to face encounters during class discussions and presentations, but they are comfortable communicating their feedback about a peer’s writing in a digital environment. And, heresy or not, I am finally comfortable with the productive peer to peer (via the Internet) writing conference. My tech/media person is the gatekeeper; she likes to keep all the blogs 9th and 10th grade blogs on lockdown, so I cannot invite you BUT my post https://usedbooksinclass.com/2012/02/04/student-blogging-of-mice-and-men-how-its-going-so-far-in-grade-9/ (which you liked!) has some of the “conference” comments towards the end of the post. I did set up individual sites for the 9th grade…and I called them “fruit blogs” (Blueberry Bloggers, Lemon Bloggers, etc) I used Blogger. You will make a blog post after you read a book. The title of the blog post must contain the title of the book. The blog post must contain the name of the author. The blog post must have the number of pages of the book. The blog post must not contain any “spoilers” (critical information of the plot that ruins a surprise or gives away the ending). The blog post must contain at least one significant quote and an explanation why this quote is significant. The blog post must contain a “fruit” rating. You may assign 5 fruits for a great book-0 fruits for a book not worth the effort. The blog post is about 150 words (to start; this may change!) You may upload an image of the book and put it in your blog post. You may respond to a blog post on a book by posting another review. The rules for posting a another review are the same as starting a blog post. You must comment on someone’s blog post at least once each quarter. You may agree or disagree with the review. You may add additional information about the book. You may comment on the best written sentence. You may make a suggestion for improving a sentence. You may comment on the quote analysis. You may comment on the character analysis. You may comment on how the transitions (“then”, “next”, additionally”, “in conclusion”etc) helped guide your reading. You may comment on the use of pronouns. You may decide if this review would make you want to read the book. REMEMBER, THIS BLOG IS SEEN BY ALL MEMBERS OF THE TEAM; HELPFUL CRITICISM MAKES YOU ALL BETTER WRITERS. This seemed to work…although they all wanted to edit, not provide feedback the first few times. Great post! I struggled with peer conferring for a long time and also feel there is much mileage to be gained through digital conversations and feedback. I also think regular sharing of work needs to be part of the fabric of the class – not just for revision work, but for celebrating and publishing too. I am curious what you use for blogs. I have had success with Google Docs and the comment feature, but have yet to set up blogs – it sounds very useful. Thanks! I agree about the sharing work that is not for revision. We use Blogger (glitchy) and WordPress. I will be trying Edublog this coming year (dashboard like WordPress). We had used wikis alone two years ago, but they have become more “resource” than interactive for students. I appreciate you taking the time to comment. I “found” your blog this morning after reading your wonderful post about Little Women (will respond separately about that). I’ve been reading past posts AND your wonderful action research about SSR. Seriously, I could applaud you and comment on most of your posts; however this morning, I will be try to be concise in talking about this one. While I primarity work as a literacy specialist in a K-3 school at this time, I alos teach graduate students in reading and writing and have taught at all levels over ths past 30 years. I too have abandoned tradtional peer writing conferences as well as traditional teacher-student ones. My professional reading, my own dissertation research and well as LOTS of action research has convinced me that we are “never”: equal partners in a writing conference and thus “someone” always has the social or emoitional power to control that conference. Thus in my graduate education courses, I use blogs, wikis and google docs with a great deal of success. Sharing is the hardest part for all of us but I do find (after sharing my own writing more and more, particualry on my blog) that it gets easier and easier. One of the strategies that I have found STILL has some value in peer sharing is to share one small part of ones writing. For example, one sentence where you think you used description or setting or great vocuabulary well. It takes SOME of the sting out of sharing and also means that your peer does not “evalutate” the whole of what you are writing. Thank you for sharing this post and for your wonderful blog. I intend to recommend this blog to others via my blog (which mixes some personal reflection, family life, and professional live) later today. and I will now be a follower, for sure. Thank you! I appreciate the positive review. I think your idea of the one sentence is good…I do something like that with my AP students to read their thesis statement aloud, but they usually don’t need the same kind of critical feedback as the college prep classes. Thanks for taking time to comment. Great post- and as luck would have it I just spoke with my school’s tech guy and we have a plan for blogging, wikis, and Google Docs on the iPads- so I feel like I’m on the right track! Thanks! I am expanding this with more confidence this coming year. I would like to re-print the above blog post in our Ky National Teachers of English Newsletter- Dec/Jan edition- http://www.kcte.org. I wish I could email you from here- my email is amy.cody@wv.kyschools.us. The article would print in full the above post as well as a link to your blog website, and of course, your authorship. Let me know if you are willing- great post! I would like to re-print this blog post in the KY Council Teachers of English Newsletter Dec/Jan edition http://www.kcte.org. I wish I could email you from here- my email is amy.cody@wv.kyschools.us and would love your permission to reprint the blog post. The post would be reprinted in full with a link to this blog site as well as your authorship. Let me know if you are willing! Certainly, I will contact you. I have wondered though, what you do to elicit more productive responses. I am working with a group where the standard response on the online forum is “that sounds great. I wouldn’t change a thing.” Which does nothing to push the writer to try more, make improvements, or expand their pieces. Then I direct them to find the best sentence and explain to the writer (in writing) why this is the best sentence in the piece. What made the sentence work? The construction? the vocabulary? When they have to praise someone specifically, they are using the same critical thinking skill. If they cannot find the best sentence, then I ask them to improve one sentence by replacing a verb, turning the statement into a question, etc. The idea is to force them back into the text…..maybe one sentence at a time.